James Mackey is one of the more accomplished products of the poker boom. Playing with the handle “mig.com,” the Kansas City-native tore up the online tournament schedule on a weekly basis, racking up nearly $4 million on the virtual felt. 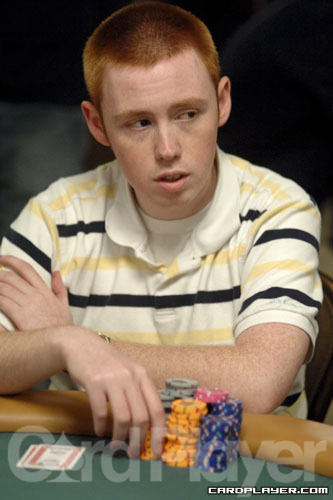 In 2007, Mackey burst onto the live tournament scene and almost immediately found success, winning his first bracelet and $730,740 in a $5,000 World Series of Poker no-limit hold’em event. Since then, he’s gone on to make two other WSOP final tables and most recently final tabled the World Poker Tour Seminole Hard Rock Poker Showdown, finishing in third place for $441,128. In total, the 28-year-old poker pro has earned more than $5 million in his poker career and is showing no signs of slowing down any time soon. Before there was Blair Hinkle, there was James Mackey. The two future poker phenoms found themselves as roommates at the University of Missouri. Hinkle would later go on to win a WSOP bracelet of his own, as well as a Full Tilt Online Poker Series (FTOPS) main event and the massive 2013 Seminole Hard Rock Poker Open for $1,745,245, but it was Mackey who first ventured into poker. With a mother and father working as nurses, Mackey felt that he would make a good doctor. Though he had good grades, he quickly caught the poker bug as his bankroll continued to grow. 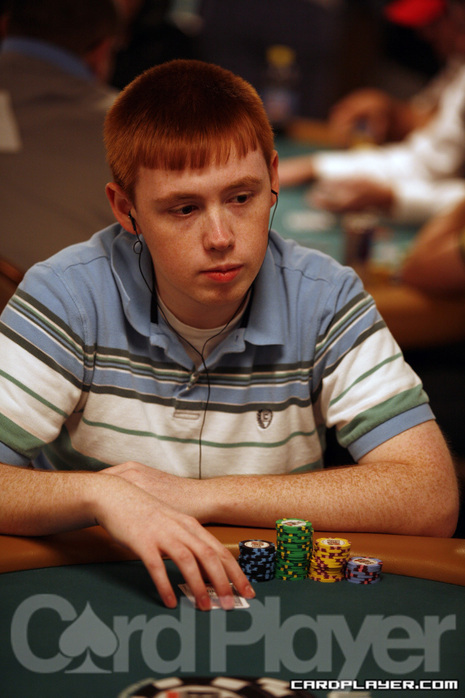 With school behind him, Mackey jumped head first into live poker tournaments. After a small cash at the PokerStars Caribbean Adventure, he final tabled a preliminary event at Bellagio’s Five Star World Poker Classic for $61,235. 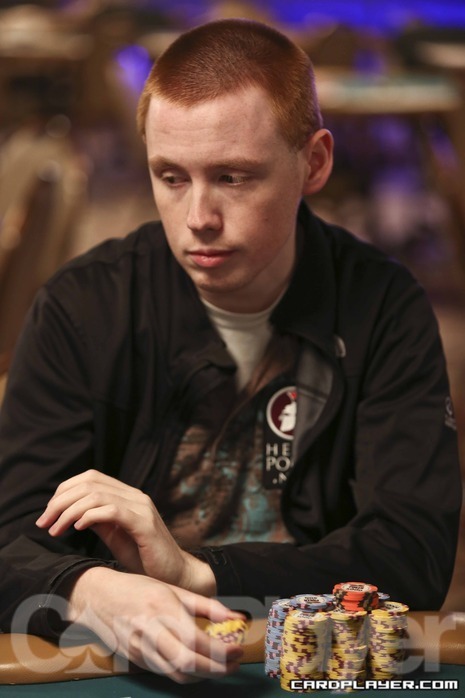 A few months later at his first WSOP, Mackey caught fire in the $5,000 no-limit hold’em event, running through a field of 640 players for his first career bracelet and the $730,740 first-place prize. In September of 2007, Mackey won a $1,000 buy-in PokerStars World Championship of Online Poker (WCOOP) event for $580,213. In April of 2008, he went back to Bellagio and made two more final tables for $95,000 and $50,565. Then at the 2008 WSOP, he narrowly missed out on his second bracelet, finishing runner-up in the $10,000 buy-in mixed-games event for $297,792. Mackey had turned 21 and promptly become one of the best players on the tournament circuit. He was essentially printing money every time he sat down at the table. Mackey had built his bankroll by being the most aggressive player at the table. His cards were more or less irrelevant, because players were usually unwilling to look him up. Though he didn’t always come out on top, Mackey had a built-in edge over the competition, so it was just a matter of time before another tournament win came his way. Unfortunately, nobody could predict the fallout from the events of Black Friday in April 2011. After Black Friday, Mackey was forced to stop playing online poker. Live poker wasn’t treating him great, and for the first time, he began to doubt his career choice. At one point, he even considered going back to school to continue his education in medicine. Mackey began regularly traveling to Vancouver, Canada to continue playing online poker and the live results started to pile up again. In the 2012 WSOP, he made four deep runs including a third-place finish in a $1,500 no-limit hold’em event for $286,633. His 2013 campaign was uneventful, but he turned things around in April of 2014 by finishing third in the WPT Seminole Hard Rock Poker Showdown for $441,128. Although the field was full of amateur players, the final two tables were stacked with notables such as Justin Young, Jeff Gross, Matt Glantz, Blake Purvis, Chance Kornuth, Matt Stout, Jake Bazeley and Mukul Pahuja. The $3,500 buy-in tournament drew a ridiculous 1,795 players, proving that Mackey’s game is geared towards tournaments with large fields. Mackey attributes his success in these tournaments to his ability to adapt. Mackey has never been flashy with his money. Even after his run in 2007 and 2008, his only major purchase was a Corvette, along with a house in Las Vegas. But now that he’s padded his bankroll a little, he’s still not looking to make his way to every major tournament on the circuit. If he does play a live tournament, he has no problem competing in some of the smaller regional stops near his home in Kansas City. He loves playing poker and is happy that it pays the bills, but Mackey doesn’t plan on being a professional poker player for the rest of his days. In his spare time, Mackey volunteers at a local animal shelter. Because he is forced to travel often to play online poker, he can’t have pets. So he gets his fill by helping them find homes.